We’ve just released a new version of our app Displays, which helps you to change your monitor resolution and adds tons of premium features. Displays 1.8 is a free update for all our users, but it now requires at least macOS Mavericks 10.9. People having bought Displays on the Mac App Store can obtain a free license key to upgrade to this version, as the Mac App Store version is not updated anymore. The screenshot editor is also greatly improved in this version. We’ve added new tools to annotate your screenshot: polygon, star, bubble speech and rotation are now available. Positioning elements is also easier as you can automatically align them with our magnet function. 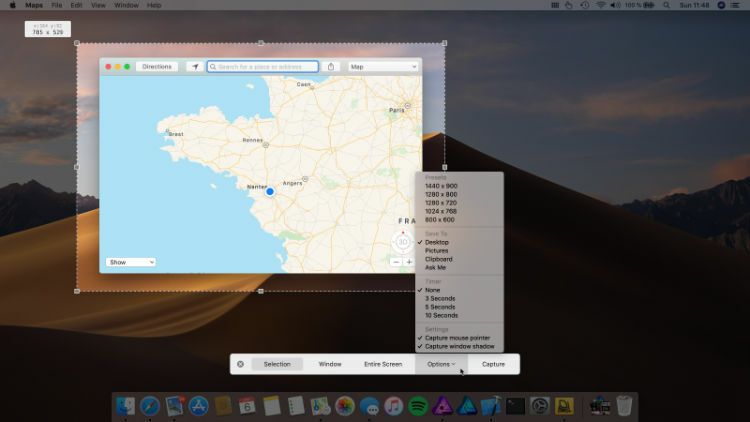 New functions to export your screenshot are now offered: copy to macOS clipboard and save to a new location. Last, we’ve improved many parts of the editor and fixed some bugs. Displays already supported cloud services where you can upload your screenshot: Google Drive, OneDrive, Dropbox, CloudApp and FTP server. In this version, we’ve added three new services: pCloud, Box and SFTP server. Uploads are now more reliable and cancelable. Displays is available as a Free Download with a 15 days trial period, so give it try! After a long time without any update, we’ve just released a new version 1.8 of TunesArt, our popular companion for iTunes. The major new feature in this release is the support for Spotify client in macOS. Spotify is a popular music service, with 180 million monthly active users and 83 million premium subscribers. TunesArt now supports the macOS client: album cover of current track can be displayed on your desktop, playback can be controlled from TunesArt and you can quickly search in Spotify database. Obviously, you can also display lyrics of any track (through the LyricWiki API). Both iTunes and Spotify can be controlled, so you need to choose the preferred app in TunesArt preferences, just in case both apps are running at the same time. We’ve also improved many functions, like notifications that can be automatically removed from macOS notification center, Twitter integration (genre and artwork can be included) and album covers with a new default theme. Last, we fixed several bugs. TunesArt can be tried out for 15 days and is only 3,49€ for purchase. For a limited-time only, you can buy Displays on our webstore with a 30% discount offer: enter the coupon code « WELCOME ». Today, we took the decision to start selling our apps by ourselves. When Apple opened their App Store for the Mac in 2011, we immediately decided to sell our apps on it. TunesArt was the first app on the store, and TrashMe just after. In may 2016, we launched a third app on the Mac App Store: Displays. The Mac App Store is a great way to discover new apps. For users, it also means a centralised place to buy, manage and install their apps. However, nothing has been really easy! Before releasing TunesArt on the Mac App Store, we submitted dozen of versions to Apple: all rejected. We removed two features (automatic download of lyrics and iPod scrobbling) to conform to Apple rules. Same happened with TrashMe: on the App Store, an app can’t offer a feature requesting admin password. That was a major issue, as the purpose of TrashMe is to uninstall apps and clean your Mac, which means sometimes requesting admin password. For Displays, the situation is a bit different: Apple changed something in their API designed to manage resolutions. 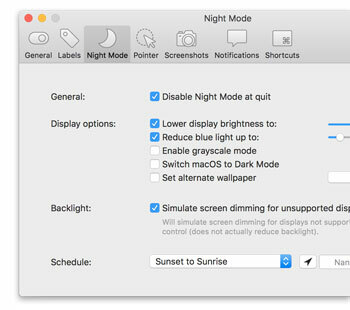 That means that Displays can’t manage Retina resolutions anymore on macOS Sierra… at least not with the official way. You need to know that there are public and private APIs. When you change your screen resolution, Apple is using a private API, and not the public API exposed to all developers. And guess what? Using private APIs is strictly forbidden on the Mac App Store, so we have no choice: leaving the Mac App Store is the only solution. That does not mean we’re removing all our apps from the Mac App Store. Only Displays is leaving the store today, our other apps will be shortly available both on the Mac App Store and our webstore. For people having bought Displays on the Mac App Store, we’re offering a free licence key to migrate outside the Mac App Store. Visit our webstore to buy ours apps. We’ve just released a new version 2.1.15 of our uninstaller TrashMe for macOS with some new features and bug fixes. 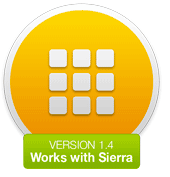 The update is available on the Mac App Store and is recommended for everyone. First, we’ve implemented preliminary support for the Touch Bar introduced with latest MacBook Pro. This Touch Bar at the top of your keyboard adapts to what you’re doing and gives you intuitive shortcuts and app controls when you need them. With this version 2.1.15 of TrashMe, you can easily navigate through different parts of the app and perform some actions. For sure, we’ll improve Touch Bar support in next release. 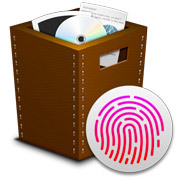 Among other new features, you’ll find the ability to use TouchID to protect your favorite apps data. With MacBook Pro late 2016, Apple introduced their famous TouchID, a fingerprint reader used to unlock your Mac and make purchases. When available, we use TouchID instead of asking you to create a password. Last, we’ve added a crash logs option in « Delete caches » tool, in order to easily remove all reports created by apps when they crash. We’ve also improved general usability, updated localizations and fixed some bugs reported by our fellow users. Today, we’re pleased to release a new version 2.1.14 of our uninstaller TrashMe for macOS. The update is available on the Mac App Store and is recommended for everyone. With this version, we wanted to update the user interface a little bit: flatter interface, redesigned icons, revamped subcategories for ‘locations’ and ‘tools’. We added the ability to delete any entry in history (instead of whole entries only) and you can search for files up to 2 GB in junk files section. 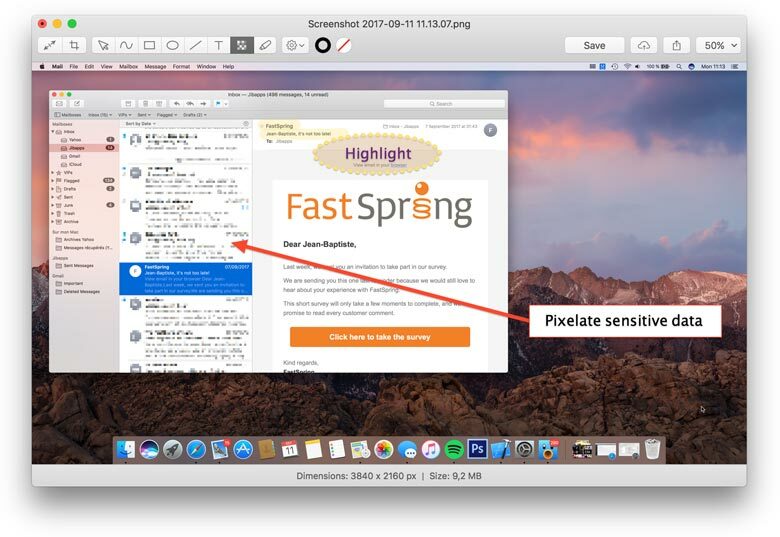 We also fixed several bugs reported by users and we improved macOS Sierra (10.12) support. For a limited time, you can buy TrashMe with a 25% discount!